Easy ways to keep the kids entertained this half term! while you are taking care of business there are a few tips that you can consider. even join them, doing your work from the patio while they play in the yard. an educational experience while they have fun on a day out. codes page for Pizza Hut and grab a movie that is family friendly and let them enjoy it. different room and work on your own while the movie is playing. your end to ensure that everyone enjoys themselves. I have always been a lover of photo book so when I was approached and asked if I wanted to try a Love2Read book for Father's day I jumped at the chance and I was not disappointed. These books are created by you and are meant to be enjoyed by the love one and the little one creating them as they tell a story (which you can create) whilst using real pictures that reflects the child's every day world. 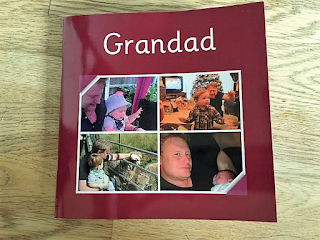 The books are available for all family members (mums, nans, siblings, even pets) and you can also make them about your holidays or special events. 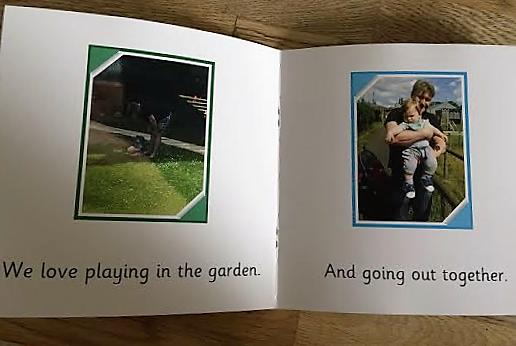 They are simple yet beautifully designed and I think they make such a personal and sentimental gift for Dad's and Grandad's that can be enjoyed by both them and your little ones. I made one for my Dad from Bubba and I am so pleased with the way it has come out. It is so well printed and such high quality and it was delivered in super quick time as well!! 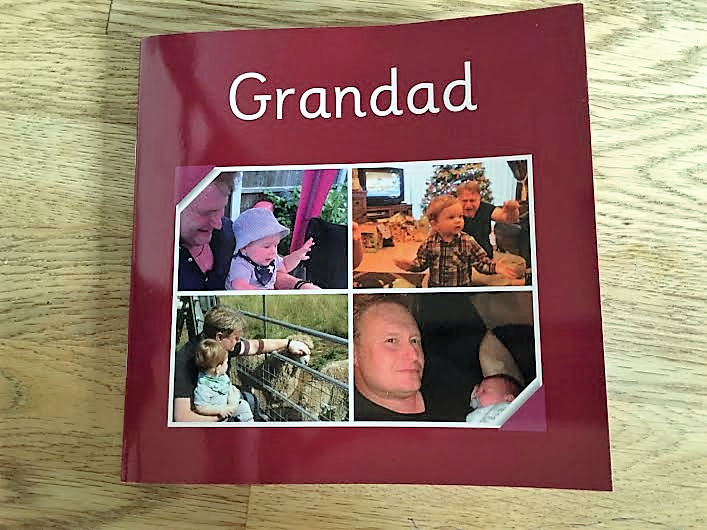 The book I created retails at £14.99 which, in my opinion, is an excellent price seeing as it is personalised and completely unique to you. To create your own book then click here! 2. What do I get him? 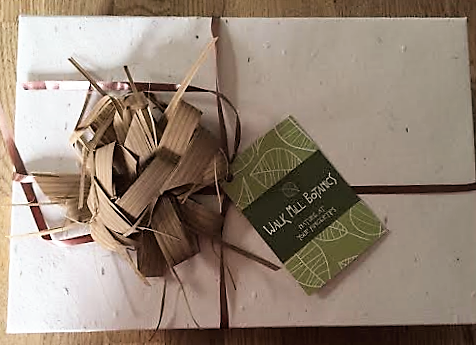 Gift Box from Walk Mill Botanics. This is such an unusual item but a really lovely one. This gift box includes a gorgeous Lime & Cedarwood soap with green clay which make a wonderful citrusy smelling lather which is perfect for shaving. The soap comes presented on a lovely little wooden dish which, for us, was great as believe it or not, we don't have a soap dish and there is nothing worse than soap sticking to the sink! 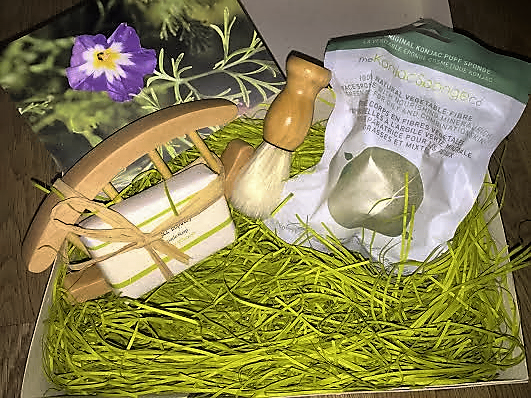 This box also included a really unusual Konjac sponge which has added French clay. Developed by the Japanese, this sponge is colouring and additive free, completely vegan and cruelty free! What more could you want?!? It also does an amazing job at gentle exfoliating and deeply cleansing the skin leaving your face looking radiant and rejuvenated. To be honest, I have pinched this from hubby as I love it so much and I am pretty sure I will be repurchasing this item as it is doing wonders for my skin!! This gist set is more than just the products inside it though...the box holds a little surprise. Once you have take all your lovely goodies out of the box, which is made from recycled paper & embedded with flower seeds, you can plant the box and watch your beautiful flowers grow! I love this element of this gift as I think it would be lovely for a father and son to plant together on Fathers day. At a very reasonable £25 I love this product!! You can get yours and check out the full Walk Mill Botanical range here (and they do some pretty gorgeous stuff so definitely check them out!). I going to start by saying I LOVE THIS!!!! I am a really sucker for anything personalised and sentimental and this poster fits the bills. This pie chart style poster can be personalised to explain what you love about ANYONE or ANYTHING! I obviously choose to do one for hubby and show his 'The things we love about Daddy'. One the site you just go through and say what it is you love about the person and then the percentage of the pie you want it to take and then it's done! As easy as that. Yu can also change the colour scheme and theme of the poster which was something else I loved. I can't explain the quality of this product. It retails for £9.99 and to be honest I thought it would be nice as it looked good in the pictures but it looks so expensive and the printing is perfect. I can't think of any Dad or Grandad who wouldn't want to receive this as a gift because, lets face it, who doesn't want to know why they are amazing! Click here to start making your poster now! Hubby is the type of person who is very particular about aftershave. He has a couple of fragrances and brands that he always sticks to and generally he is a very hard man to please when it comes to new fragrances. Until last week that is!! We were sent a couple of miniatures from Gruhme.co.uk and Hubby loved them! 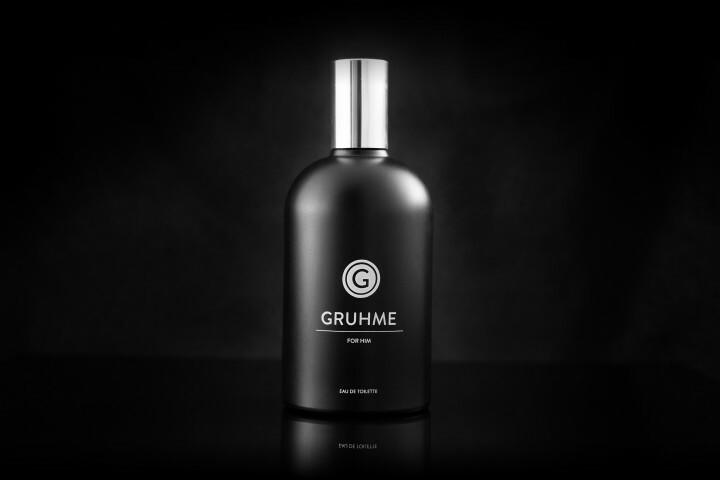 We were sent a sample of the Gruhme original and the Gruhme no 14 and when we smelled them we both really liked them but couldn't tell the difference between the 2. When I look into it the reason we couldn't tell the difference is because the Gruhme no 14 is the same as the original Gruhme except it has a stronger 14% concentration rather than 10% like the original. This makes it perfect for evening wear as it has improved longevity and a more concentrated burst of scent. In my opinion, this is quite a light scent with a woody base, a slight musky note with touches of citrus. It is such a wearable scent and not overwhelming like a lot of fragrances tend to be. The scents retail at £35.00 for the original Gruhme and £45.00 for the no 14 and Hubby like this aftershave so much that he actually going to be purchasing himself a full sized bottle as a treat for himself :) To get the man in your life a bottle of this gorgeous scent then click here. If I am being honest, I didn't think hubby was going to like this item but I think it is his most favourite one out of the whole lot! This Father & Son matching Bow Tie set is from a wonderful company call 40 Colori, whose aim is to provide men with colourful and high quality Made in Italy accessories. The quality was the first thing that really hit me with this item...it is so well made and looks so much more expensive than the £15.00 price tag. They felt so soft and they must have been as when we tried it on Bubba he didn't even try to take it off. The other thing I really loved about this item was the way it was presented. It came in a beautiful little gift box with a small circle which allowed us to see just a glimpse of the beautiful, bunny motif silk inside. If matching bow ties aren't your thing then these guys have a whole host of men's accessories including belts, ties (included kitted ties!!! ), socks, scarfs, wallets and even braces. To see their full range then click here. Obviously, for this to be a great gift your loved one would need to like Gin. If they do then I would highly recommend the Gin Explorer subscription boxes as these are like a little bundle of gin joy that gets posted through your letter box. This box was created by the guys behind the GinFestial and give you yur very own private gin tasting experience in the comfort of your own home. This box not only comes with a selection of miniature 50ml gins, it also comes with some additional extras to help you on your way. The box we received was the May box and it came with the gin (obviously), a bottle of delicious pomegranate & basil mixer, a bar spoon for you to pour said mixer down (as it helps to preserve the bubbles in the tonic) and a map like leaflet explaining all about the gins, where they are from and how best to drink them. It was so well presented and I really loved this item! With a one off box costing £24.99 it is the perfect treat for the gin lovers in your life. You can read all about the Gin Explorer Box here. 7. Shaving Set from The Inside Man. Hubby has always had a bit of a fascination with the old style way of shaving with the cream and brush ect. I think he likes it as it seems so luxurious and upper class. Well, all his dreams came through last week when this beautiful 3 piece imitation shaving set by Edwin Jagger was sent through to us from theinsideman.com. This set comes with the shaving cream brush and razor (with a bog stander razor head on which can be easily replaced when it is blunt! woohoo!) presented on a cream imitation ivory stand and it looks so lovely in our bathroom. Hubby loves the fact that he can now use shaving cream and the brush and I don't think he has even shaved as often as he has recent. I love that it looks so pretty in our bathroom and that it give hubby somewhere to hang his razor rather than just slinging it on the side of the sink. I also think that it's great that the razor head can be raplaced when needed as many of these types of items look great but tent to have one use only razors included which is a bit of a pain. This was a perfect gift for Hubby and I think that most men out there (unless they love having a beard) would be overjoyed to receive this beautiful item. You can see what the inside man has to offer by clicking here. 8. Photo card from Postsnap. I am a sucker for a photo card and the app from Postsnap has revolutionised the way that I now create these little beauties! It hard to explain just how easy this app is to use. 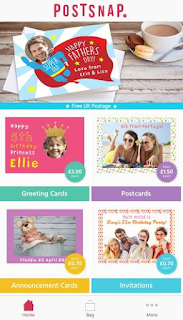 You find the card you want out of their range of fantastic cards, personalise it with a picture and words, review the card and then your done. What's even better is that you can either get the card sent directly to your loved one or you can have it sent to you with an envelope. I have ordered cards for hubby and my Dad and it only took 5 minutes to do both cards and check out. AND...at £3 a card I think it's an absolute bargain!! Search for Postapp on your app store and download it now to get your own personalised cards. TO GET 15% OFF YOUR FATHERS DAY CARDS ENTER THE CODE MYMUMMYSPAM AT CHECK OUT :) WHO DOESN'T LOVE A CHEEKY CODE! So they are my reccomendations for some great gifts for father's day! What do you think? Have you already got your Dad/Partner their Father's day pressie...if so what did you get them? Let me know in the comments. Thanks for reading and Happy Father's day to all the Dads/ Step-Dads/ Grandads/ Great Grandads out there!! 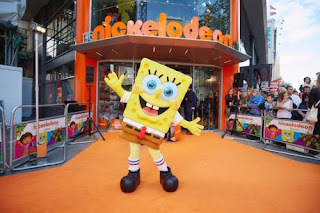 Your awesome! Note: These products were sent to me for review purposes but all opinions included are honest and my own. Prior to having Bubba I used to love nothing more than pampering myself. Long baths, exfoliating treatments, face masks...the works. One of my favourite products to use was self tan. 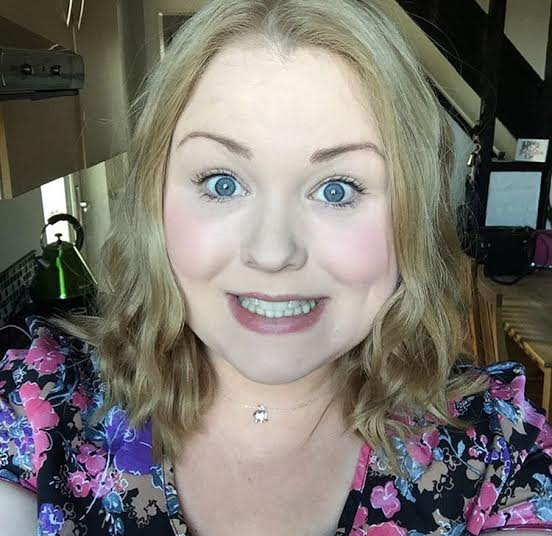 I have had my fair share of dodgy tans and have always struggled to find a product that I can use at home and that doesn't leave me looking like a streaky, patchy, orange mess at the end. So, when I was asked if I wanted to review the Madame La La self tan I tentatively accepted but I shouldn't have felt so worried as this tan is amazing!!! The Madame La La Tan is a lightweight, tinted mousse that provides a deep, event colour within 3 hours. It's DD (dynamic do-all) tan perfector technology is infused with Coco water, Aloe, Green Tea, Vitamin C and has an innovative colour customising technology that ensures your tan stays natural and adapts to your natural skin tone. This seemed like a lot to offer from a self tanner so I was really excited to give it a go and see if it lived up to it's promises. The first thing that I noticed about this tan when I opened it was the packaging. It does look an awful lot like a couple of other brands but I really liked the simplicity of the bottle and the fact that it had a pump dispenser as I find those the easiest to work with when it comes to self tanner. I as so excited to give this a go that I set aside some time to myself when Bubba was in bed to give myself a good old pamper session and try this little beauty out. Exfoliated, make up less and ready to go! I made sure I followed the instructions and exfoliated well before hand and moisturised places like my knees and elbows etc. Then it was time to grab my mitt and get tanning. The colour on my legs just after applying. As I squirted out the first pump onto my arm I couldn't believe how dark it looked. In fact it scared me a little as I have quite fair skin and I instantly started wondered what I had agreed to but I marched on and continued to rub in the mousse. Waking up the next day I was so nervous about looking in the mirror and I did look super dark but after a quick shower the tan had developed into a beautiful, natural looking, golden bronze colour. The colour is honestly beautiful and I loved how radiant it made my skin look. It wasn't streaky and I didn't have any of the horrid orange marks that I normally get around my wrists and ankles. I was amazed and I can now easily say that I am completely converted to a Madame La La fan. Feeling a little apprehensive the next morning! I also loved this tan because I couldn't smell biscuits! If you use self tanner you will know what I mean but the biscuit smell. This product smelt like coconut and even once I had been to sleep in it and had a shower, I still smelt like an exotic island. It was lovely :) I also couldn't believe how little of the product I needed to use. I had done my whole body and only used just under a quarter of the bottle. I loved this as there have been some before that I have used and it has been such a poor consistency that I have had to use so much to try and make it look less patchy. I didn't have this with the Madame La La tan and I would easily be able to get another 3 or 4 uses out of it. Overall, I would highly recommend this product as an easy to use, fool proof tan that lasts and looks so beautiful. You can check out their range and pick yourself up a bottle here. This product was sent to me for review purposes but all opinions are honest and my own. Those moments when you are watching your child and you can see that they are growing literally in front of your eyes and you are filled with a whole wave of emotions. Recently bubba was looking at a dandelion so I picked it up and showed him how if you blow it all of the little fluffy bits float off into the wind. Before I had even blown the last seed off of the head he had found himself one, picked it and was blowing away the little seeds all on his own. I was filled with so many emotions. Happiness that he was copying me, pride that he was able to do it on his own, joy that I could share these moments with my little boy, sadness that he was growing so quickly and fear that he wouldn't need me to pick the dandelions for him anymore. I know that he is going to grow up. Of course he is. It's nature and it's life but it makes me feel really sad. 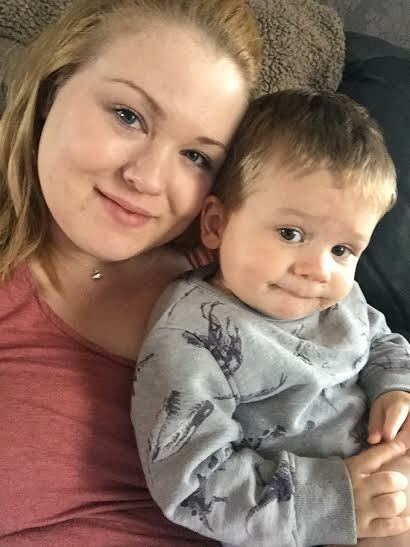 I just wish that I could bottle these moments up and I am doing everything in my power to cherish every single little second that I am getting with my toddler as I know that there are going to be so many more of those moments where I see my little toddler turning into a little boy right before my eyes. A word that is surrounded by embarrassment, taboo and sterotypes. When most people say the word incontinence, images of little old people with bladder problems spring to mind but what about everyone else? I'm not embarrassed to say that I had to deal with incontinence just before I had Bubba and for a couple of months after I had given birth. It's normal and most people will have to cope with it at some point in their life so why is it such a shady topic?? Thanks for (hopefully) filling this in and remember to have a look at Hartmann directs website if you would like some help or advice. The best hold house item I have ever owned!!! Everyone has those chores in the house that they hate doing don't they. For Hubby it's dusting. He doesn't see the point and just hates doing it. It used to take ages and be the most tedious of house work chores in my opinion as you would have to iron everything 2 or 3 times and change the temperature for the next item and it was just an overall pain in the bum in my opinion! But not anymore!! Recently, AO.com contacted me to ask if I would want to work with them on a review and after having a look at the products on offer I picked the Braun Steam Iron and it did not disappoint! This steam iron has cut my ironing time in half as it is so so quick! The icare technology means that there is no faffing around with a temperature dial, the iron just adjusts depending on what you are ironing. It's no where near as big as I thought it was going to be which is great as it is so easy to store and the I love this item and honestly don't know why I haven't had one of these ironer sooner. The ONLY thing that would make this iron better, in my opinion, is a slightly long power leader and somewhere to wrap the leads up into so that it stores nice and neatly. Apart from that, this item is literally perfect!! You have click the video below to see it's amazingness in action!! AO.com are the guys that sent me this item and if you don't know how they are then they are a website that sells a whole range of home items. From fridges to hoovers they have it all! The thing I oved about them was their service! They would so quick and you can pick the best time for your item to be delivered. I would defiantly use them again and recommend them for any of your house hold purchases. You can check out their site and this amazing iron by clicking here! 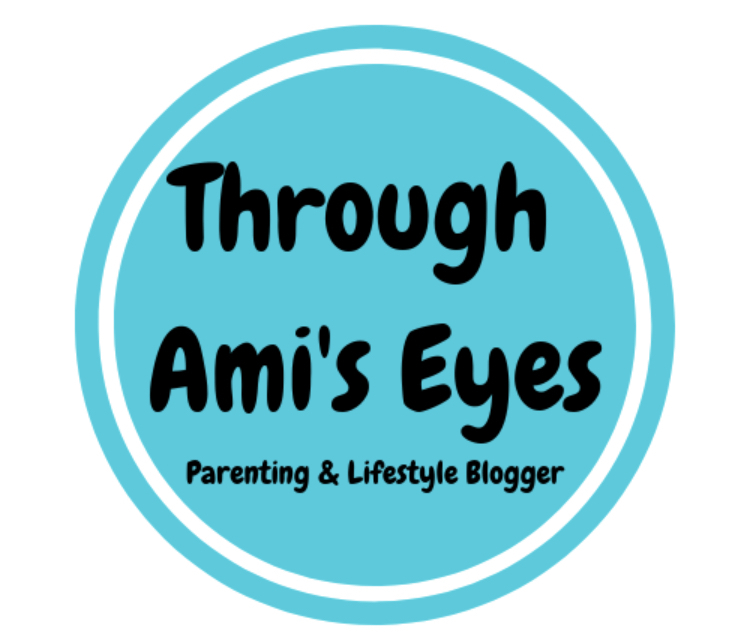 If you have read my blog for a while now you will know that we are huge OXO Tot fans!! You can read our previous reviews here. Recently I was given the chance to review some more of their items but we already had purchased them ourselves and Bubba uses them daily so I thought rather than us have another set, I would share the wealth with you lovely lot out there and give one lucky reader the chance to win their little one an amazing OXO Tot feeding set! This set comes with some of our favourite items: a sippy cup, divided plate and fork & spoon set. Bubba uses his spoon & fork set daily and I LOVE the design of these items. They are gently curved to fit little hands and have rounded edges on the fork so it won't hurt your little one if they misjudge where their mouth is (like mine used to quite a bit!). We also use the plate quite a bit of Bubba's lunches as it's nice to have everything separated for him and what is even better is on the bottom of the plate it has a little key that tell you which section should contain fruit/veg, protein and carbs. I love this as it helped me to understand how much of each Bubba should be getting. OXO tot do a huge range of intuitive toddler and baby products and you can see their full range by clicking here. Note: This item was sent to us to giveaway by OXO Tot but all opinions are honest and my own. Please see the Rafflecopter widget for full T&Cs. If you have been reading my blog for a while then you will know that a couple of months ago I announced that the wonderful people at Kiddylicious were sponsoring me to attending the biggest parenting blogging conference in the UK...Brit Mums Live and with just over a month left to go until the big day, their 'I'm going to #BML16' linky is now open for us bloggers to introduce ourselves. I think it is such a great idea to run something like this as it means that newbies like me get a chance to see if there is anyone going that they know of and see if their will be any familiar faces. So...for those how don't know...here is a little about me! Clothes that don't make me look too fat hopefully! I hate having to pick clothes as I am a bigger girl and I always feel fat in most things but I will most probably end up wearing skinny jeans and a top or a summery dress. Apart from the opportunity to meet so many fellow bloggers, I am really looking forward to learning more about Pintrest and YouTube (2 of the sessions that are running). It's Friday and that means that it's time to talk about fitness!! This was really my first full week getting back into our healthy life style and I have actually really enjoyed myself and not found it too awful. I almost felt like I had a complete mind shift and found myself really thinking about food and snacking and how many calories were in certain foods etc. 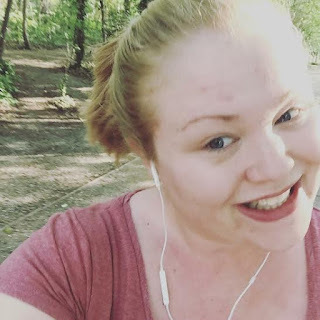 I thought the easiest way to document my fitness journey would be to do a 'good bit' and a 'not so good bit' so I can see what is going well and what isn't. I have been loving the My Fitness Pal app. It is making me feel so accountable for what I am eating and I love that it shows how many calories are in things just by scanning the bar code. During the week I was offered a little chocolate eclair sweet and when I checked there was 60 calories in that 1 little sweet...60!!! I would never have thought about it had it not been for the app. If you are trying to loose weight I would highly recommend downloading it as it also works out what you can have each day etc. 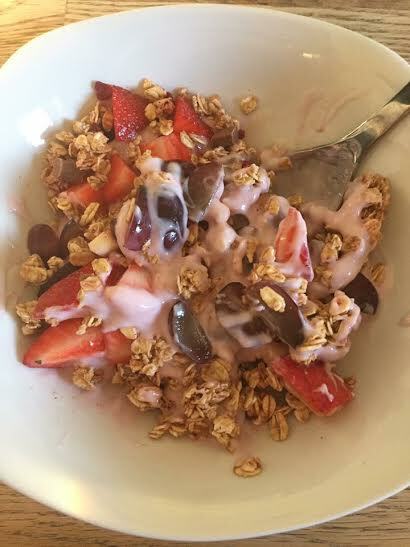 I have found some really healthy meals and snacks recently that I am loving! For breakfast I have been having yogurt with fruit and granola and honestly think it is sooo scrummy and leaves me feeling full until lunch time. I have also developed a mad obsession with popcorn as a snack! I've been having the Metcalf Skinny popcorn which is only 78 calories per bag! Result!!!! Exercise! Might sound a little crazy but I have loved going out for runs and being back doing the Julia B ignite programme. It most definitely hasn't been easy and I have had to force myself out a few times but once I have finished I know that it has been well worth it as I feel great. The weather. You might be thinking 'what on earth could the weather have to do with being healthy and loosing weight' well I have one thing to say. BBQ's. I am a sucker for a BBQ and we had one on Saturday with some friends. I didn't count my calories, I wasn't tracking the burgers and chicken and minted lamb and wine I was consuming. I was just enjoying myself with my little family and our friends and do you know what..I don't even feel bad about it :) Although it is bad as i should have been watching what I was eating but everyone is allowed an off day right? Time!! I have found it a little difficult this week to fit everything in. What with blogging, learning lines for a play, looking after the house, working, being out enjoying the sunshine, meal prepping and planning and exercising it has been a bit of a manic week but I am hoping that once Hubby's works calms down a bit (as he is super busy at the moment) then he will be able to be around a little to help and give me a little more time. So now for the bit I dread...measurements..
Made to feel like a failing Mother! Recently you may have read all about the day that Bubba broke me after a huge tantrum (click here if you missed it). In the post I explained how hard the day was but something else happened that day that was ten times harder. 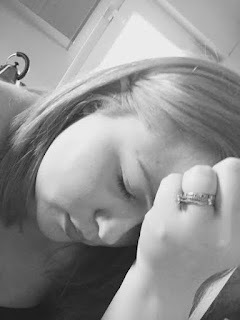 Last week I was too full of emotion to talk about it. Now, almost a week after it happen, I am calm enough to share my experience. So, this major melt down Bubba had was at one of our local childrens centers. We have been going to this particular center since about October time so they have known me and Bubba for about 8 months or so and I used to love taking Bubba there. After last week, I will not be returning again and some may see it as over reacting but others may agree..here's what happened. I got home on the major melt down day at about 12 after we had popped for a coffee with our friend and the little ones had their snack etc. As soon as we had left the children's center and got in the car bubba was like a different child and the huge tantrum that he had been having as he wanted a different snack out of the bag had stopped. Typical toddler with the attention span of a fish! I had 2 missed calls on the land line which is strange as no one ever really calls that number unless it's an emergency so I checked to see if we had any messages, and we didn't so I checked who the number was and it was the children's center. I called them straight back and after a little bit of faffing the lady told me that the person I needed to speak to (who was the lady that runs the session we go to) was on lunch so would call me back. I spent the next hour and a bit worrying over what it could be...had I left something there? Was they calling to almost tell me off because of bubbas behaviour and how it had distrupted her session? Where they just calling to see how he was after the tantrum? I couldn't work out what the call could have been about. A little while later whilst bubba was napping I got a phone call back. She asked how Bubba was after we left as she didn't get a chance to speak to me before we went (which she did as she came out into the lobby to us). I told her that he was fine once we had left and I think it had happened because he was tired and had just had a week off with me and Hubby so was probably a little spoilt so it was just getting back into the swing of things. Then came the part that caused all the next 2 hours of tears..
Behavioural issues?? I thought that bubba was just having a bad day and that all toddlers have tantrums? Did I not manage it right? Is it not normal for him to be having tantrums like that? Did he have underlying problems? Was I failing as a mother to him? Was I causing this? Should I have just given in and given him another snack out of the bag? Was I being too harsh on him? Was this going to go further and were they going to call social services on me because I was a bad mother who couldn't deal with bubbas issues??? These were all running around my head but I was so shocked by what she had just said that I could only mutter ''Oh..okay''. She then went on to tell me about how they had another lady there who was really good with dealing with behaviour and could give me some tips and how they could give me some suggestions on what might help us manage it until I finally managed to stop her and ask ''Sorry, so are you saying that Bubba has problems or that it is me that isn't doing something right?'. She then went on to say that it wasn't that but there was just different way to manage this kind of thing and maybe they could suggest some different methods. that I should be, telling me that Bubba is just strong willed and being a typical toddler. After speaking to them and my lovely friend who was there to witness the tantrum and is also in child care herself, I felt a bit better about everything and decided I would call the center back and politely decline their offer. When I called I explained to the lady they I had been really upset by the previous call and that I would come to them if I did need any help but for now I was going to continue with the way I was managing them and I did't even get so much as an apology for the upset. This was when the tears turned to anger. I thought about all of the failing that the children's services had made in past years where they didn't pick up child abuse like in the case of Baby P and I found myself questioning why they can't pick up obvious child abuse yet they can call a parent who loves their child more than anything in this world and would do anything for them and make them feel like the worst mother going. By declining their offer of observations it even made me scared they they could go further with it and call social services or something. My Mum and hubby told me not to be so stupid but it seriously worried me for a while. I was even scared to go to a different group we go to incase Bubba had a tantrum there and I ended up being pulled up on my management of it. I didn't let the fear get the better of me though and I went which I am glad about as they reassured me that I was a great Mum and the other center shouldn't have acted in the way that they did. So yes..children's services should by all means intervene but calling a mother who son has had a tantrum and offering assistance with their behavioural issues? 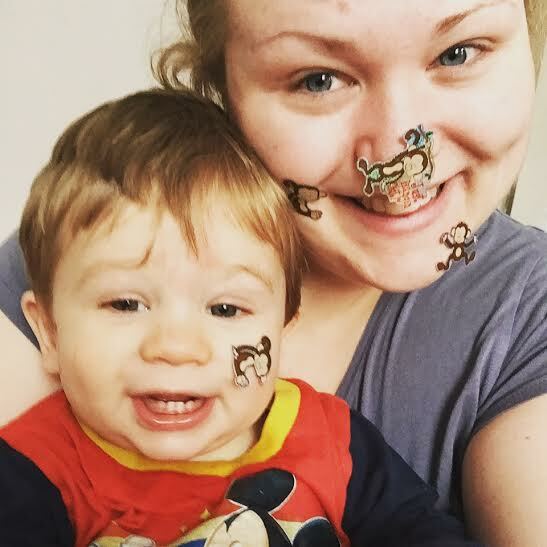 I think that your time could be better spent elsewhere rather than making me feel like the worst mother in the world because my 20 month old had a melt down! You may remember that towards the end of last year I started a fitness section of my blog where I focused on my journey to get my body back. Unfortunately, due to some personal circumstances, my journey sort of went off track and disappeared but IT IS BACK!!! Make better choices with my food and stick to my meal plans. Make exercise a part of my day to day life by running twice a week and doing Julia B's online gym classes (see what that is all about here!) twice a week. Drink more water! At least 2 liters per day. 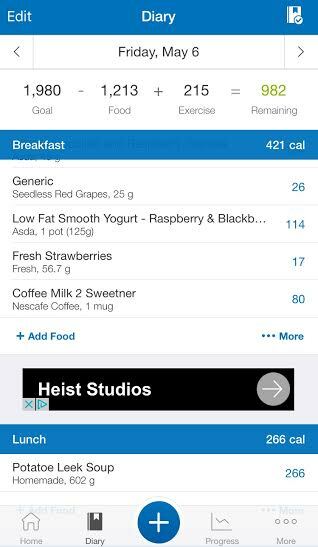 Use the My Fitness pal app to track what I am eating. I remember when Bubba was a new born I was a little obsessed with things being clean. 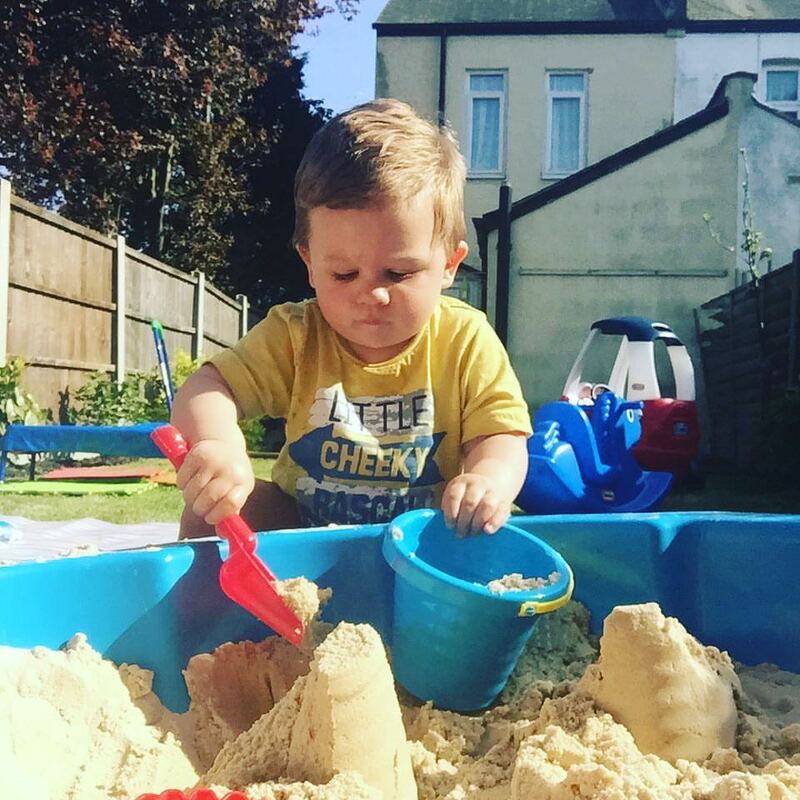 I say a little obsessed..in reality I would spray the kitchen surfaces before anything of his touched it, wash my hands whenever I had touched anything food and even had a little bottle of anti bacterial hand wash up in our bedroom for those late night nappy changes. Looking back on it, I was probably a little too cautious what with Bubba being my first baby but that doesn't take away from the fact that cleaning your hands is super important even if you haven't got a newborn. Everyone know that most germs and virus's are carried on our hands. I try not to think about the amount of germs that get on to light switches and door handles where people haven't washed their hands properly (I am pretty sure I could become a little OCD if I didn't control myself!). On the 5th of May 2016 it is #CleanYourHandsDay and when Carex sent me through a few goodies to celebrate I was super excited!! I love the Carex range and have used their hand gel since bubba was little and still carry around a little one in his nappy bag just in case we are ever caught without hand washing facilities. 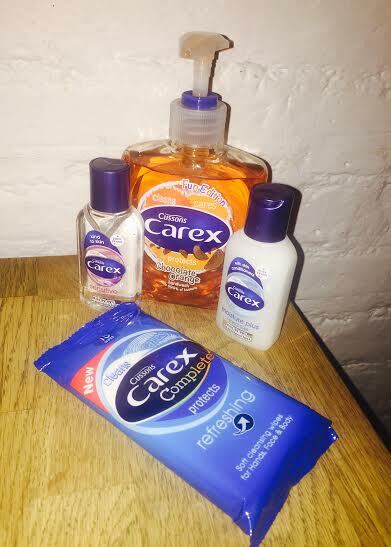 The one item that I was so excited to see in our little bundle was the Fun Edition Cussons Carex Protect hand soap. I have previously brought and loved the strawberry laces version and the cola bottles edition (which is my fav!!) and Carex kindly sent us through the chocolate orange soap for us to try. This soap smells amazing and is not helping my diet as whenever I use it I am filled with a craving for a chocolate orange! The smells lingers for a while as well which I love as it smells so good!! As with all of their range, these hand soaps not only smell great but they also kill 99.9% of bacteria! Win win!!! So, if you want to get involved in #Cleanyourhandsday then you can check out Carex's full range of products here! these products were sent to us for review purposes but all opinions and views are honest and my own. They say that the best things in life are free and yesterday I throughly agreed with that statement. We are fortunate enough to live right near the sea and as it was such a beautifully sunny day today we decided to take a wander down the sea front. Southend sea front has a public space with about 20 water fountains in the ground and I have always smiled when I have seen the little ones running round, splashing in the water and shouting with glee. Yesterday.. Bubba was one of those little ones. Bubba was very unsure to start as I don't think he could understand why there was water shooting out from the ground but after about a minute of poking the water and working it all out he was off and having the time of his life!! He ran around those fountains for about half an hour and I don't think I stopped smiling the whole time. It was so heart warming and wonderful to see hubs and bubs running around, splashing each other and giggling and then bubs would come and get me and we would have to swap so he could show me around. It was outside, fun and free and those simple fountains filled my heart with joy...and gave me a whole host of fantastic pictures and footage to smile back on. What makes a good stroller? Is it the weight, design, features or brand? Everyone is different when it comes to what they are looking for in a stroller but to me it needs to be comfortable, safe, user friendly and practical and the Greentom Upp classic ticks all of these boxes. Greentom is a 100% green company who design no nonsense, practical and sustainable strollers. All of the frame is sustainable, the fabric is made entirely of recycled drinks bottles and they are assembled all over the world which limits the shipping needs. This all means that this stroller is made from all natural and recycled sources...AMAZING! Now onto the stroller itself.. The fact that this stroller came with none of the plastic wrapping or cardboard inserts really shows how conscientious this brand is and it mean less rubbish to have to throw out. Huge thumbs up to Greentom for this and I think more brands need to take not and rethink their packaging. The actual stroller itself is wonderful. It is so light weight yet doesn't tip over. The seat is really large which gives Bubba ample room for toys, juice cups etc. It has a large hood which almost covers the entire stroller. It has anti puncture wheels. You can personalise your stroller by picking the colour of the fabric and the frame. The list is endless and could honestly go on and on. The thing I loved the most about this stroller though is it is so user friendly. I can't really begin to explain to you just how light this stroller really is. I was able to lift it fully off the ground on my own with Bubba in to bring it over a step where as normally I would have to bump a stroller over things like that. It is also a dream to push. It is so smooth and easy to maneuver and I think that is partly due to the handle bar being a full bar rather than 2 separate handles. It means that pushing with one hand is a breeze. The only downside, in my opinion, to the Greentom Upp classic is that it doesn't come with a rain cover. You can purchase one separately but I just feel that if I was buying this stroller for the RRP of €249.00 then I would expect it to come with a rain cover. In saying that though, it works for us at the moment as if it does start to rain we can just cover Bubba with the hood (as it is so large) and dash back to the car. Overall, we loved the Greentom Upp stroller. Bubba was always very happy and comfortable in it and was even happy to fall asleep in it. It is light, eco friendly and so easy to use and I would highly recommend it for someone looking for a stroller which has pram type features. To see the full range of Greentom strollers click here. Note - we were sent this stroller for the purpose of this review but all opinions and views expressed are honest and my own.